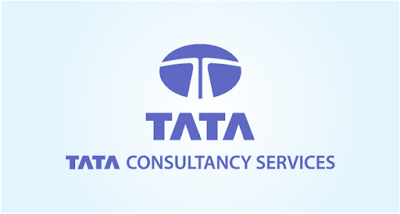 Tata Consultancy Services is currently trading at Rs. 1986.20, up by 4.95 points or 0.25% from its previous closing of Rs. 1981.25 on the BSE.The scrip opened at Rs. 1985.05 and has touched a high and low of Rs. 1996.00 and Rs. 1978.40 respectively. So far 56557 shares were traded on the counter. The BSE group 'A' stock of face value Rs. 1 has touched a 52 week high of Rs. 1998.00 on 13-Jul-2018 and a 52 week low of Rs. 1188.05 on 14-Jul-2017.Last one week high and low of the scrip stood at Rs. 1998.00 and Rs. 1872.60 respectively. The current market cap of the company is Rs. 760508.17 crore. The promoters holding in the company stood at 71.92%, while Institutions and Non-Institutions held 23.49% and 4.58% respectively.Tata Consultancy Services’ (TCS) Digital Directions campaign has been awarded Gold in the ‘Best Stakeholder Communications’ and ‘Best Sponsorship Activity to Support or Develop a Corporate Reputation’ categories at this year’s Corporate Engagement Awards. The campaign also won Silver in the ‘Best PR and external communications’ category. The awards follow on the back of TCS’ Strategic Partnership with the European Business Summit (EBS), where the company launched its original #Digital Directions campaign in 2017, setting the tone for the digital agenda in Europe.